Welcome to the JVNP 2.0 Update featuring a primary JV invite courtesy of fellow JVNP 2.0 Partner Greg Writer (Launch Cart 2.0 e-Commerce storefront software high ticket launch Kartra affiliate program JV invite), Buzz Builders (Shreya Banerjee + Paul Counts – Monster PLR Firesale launch), and More … in Today’s the Launch Cart so nice you get to profit from it twice (unless you missed out the first time … don’t make the same mistake again!) edition. 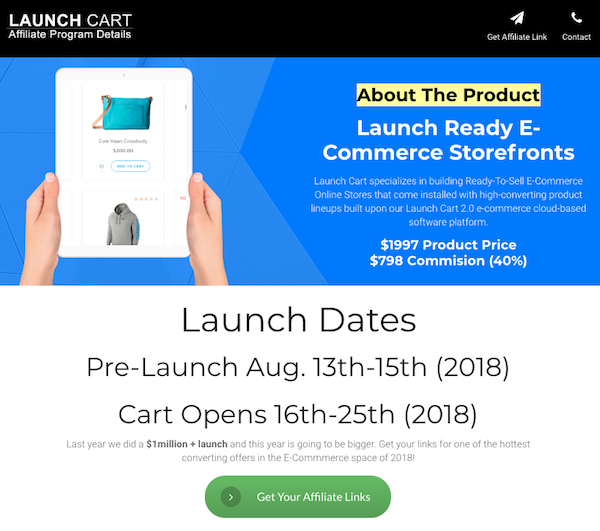 Mark August 13th-25th down on your calendar … our re-branded, better than ever, done-for-you e-Commerce storefront software will be released and ready for affiliate promotion! We’re offering 40% commissions ($798.80 per sale!) on the $1997 software, and also doling out up to $100K in JV prizes, and special speed competition bonuses (ANYONE can Win!) during our launch period. Short on Time? Jump right on over to the JV Page for all the launch details. Last year, we topped $1 Million in sales during our 2 week launch period for TRex Ecom. Our affiliates saw 4% conversions, on average, and EPCs averaged out at around $30 (with top performers enjoying EPCs in the $70 range!). We’re expecting the Launch Cart 2.0 promotion to perform even better for our affiliates. What is Launch Cart 2.0? Launch Cart 2.0 is our proprietary, cloud-based software system that powers e-commerce sales. We’ve been fine-tuning it for the past year, and now have even more powerful tools for building ready-to-sell, e-commerce online storefronts that come pre-loaded with these tools … and the high converting products people need to start an online business! Remember… We’re offering 40% commissions (a hefty $798.80 per sale!) on the $1997 software, and we’re also doling out up to $100K in speed bonuses & JV prizes. 1st Place – $16K, 2nd Place- $12.5K, 3rd Place- $9.5K, 4th Place- $7K, 5th Place- $5.5K, 6th Place- $3.5K, 7th Place – $3K, 8th Place – $2.5K, 9th Place- $1.5K, 10th Place $1K, PLUS … ??? Ready to partner with us on the biggest e-commerce platform launch of the year? >>> Find out how to gain access to your promo tools and more here. ALSO … this product sells REALLY well via webinar, so if you have experience promoting via that medium, including the ability to put 100+ participants on a call, and have an audience that is highly receptive to this type of promotion, please let us know so we can get you set up, ASAP! We’re looking forward to helping you grab your biggest commission check of 2018! Earn up to $479.50 Per Sale! Affiliates earn up to $479.50 with each referred sale promoting the Monster PLR Firesale which is a fantastic affiliate blogging course! We have a killer funnel in place where you can earn residual commissions! We focus on quality, and your audience will love this deal! Shreya Banerjee + Paul Counts – Monster PLR Firesale JV page. Grab Your Share of $36K in JV Prizes & More! Feminine Power: The Essential Course for the Awakening Woman in 2018. A 7 Week LIVE, Interactive Online Course with Dr. Claire Zammit. Price point: $397 for the LIVE Feminine Power 7-Week Course. Downsell: Digital/Self-Paced version for $297. Downsell: “Women on the Edge of Evolution” Conference for $97. Affiliate Revenue Share: 40%. $36K in Cash Prizes! Claire Zammit PhD + Evolving Wisdom – Feminine Power 2018 JV page. High Ticket Physical Product Launch on ClickBank => $300 Commission Per Sale! Biggest Forex Launch of 2018. Forex Wealth Strategy. Easy $300 Commissions Per Sale. Toshko Raychev’s New $997 physical product. Pre-Launch 30th July; Launch 6th August. Alaziac Trading are at it again – making affiliates tons of cash. Don’t miss out on the Money! Toshko Raychev – Forex Wealth Strategy JV page. Earn up to $335.50 for Every Free Book You Give Away! Join Anik Singal’s biggest launch EVER! Win one of 3 cars, including a Porsche! Leaderboard prizes + control your own destiny prizes, so you don’t even have to “beat” anyone to win a Porsche. Make up to $335.50 for every free book you give away. Learn More Here => Anik Singal – eSCAPE: The 4 Stages Of Becoming A Successful Entrepreneur Free Book JV page. Earn $975 commissions with industry beating low refund rates. DW is a high quality course, coaching program and software suite dedicated to helping students build digital assets for long term income and asset sale. 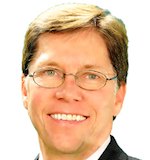 Join the Digital Worth launch here => Andrew Hansen + Sara Young – Digital Worth Academy JV page. Special Early Bird JV Invite … This Should Be a Bigun! Don’t Miss Out! Jamie Lewis, Anthony McCarthy + John Halpin, John Di Lemme, and other fellow JVNotifyPro 2.0 partners are waiting in the wings … keep your eyes on your Inbox, and follow the action in the JVNP 2.0 Premium VIP JV Announcement archives.